Written by Andrea Zoellner on July 10, 2018 Blog, Customer stories. Many entrepreneurs look for a product they can turn into a business. In Melissa’s case, the product found her. After her son was born, she wanted a piece of jewelry to commemorate his birth. When she couldn’t find anything she liked, she made her own. A few years ago, Melissa was running Tiny Tags from her homebase in California and focusing on hand-stamped pieces, but a move to Massachusetts coincided with her desire to elevate her designs by switching to laser engraving with local manufacturers. 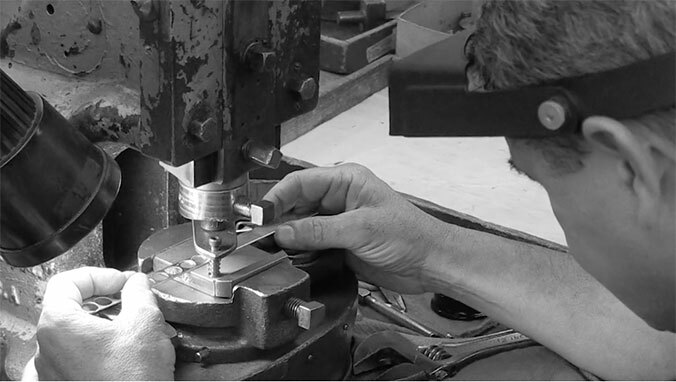 Over 14 artisans are involved in every single Tiny Tags creation! Tiny Tags use a highly complex, sophisticated, laser machine for engraving — the tag is never touched or cut, unlike diamond drag engraving, which cuts the metal. 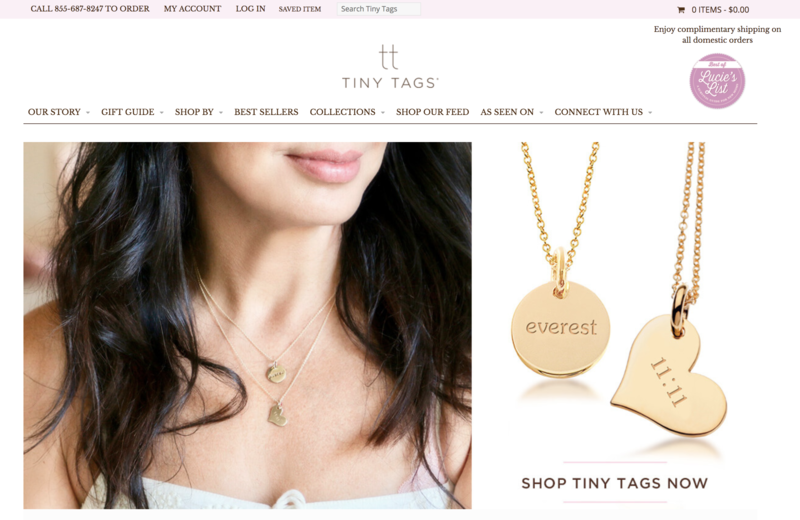 The elegance and custom nature of her product carried through into the branding and design of the Tiny Tags online shop — Melissa has worked with the same designer for eight years! We wanted options like conditional statements where if you say you want two tags and back engraving, the proper text fields appear. 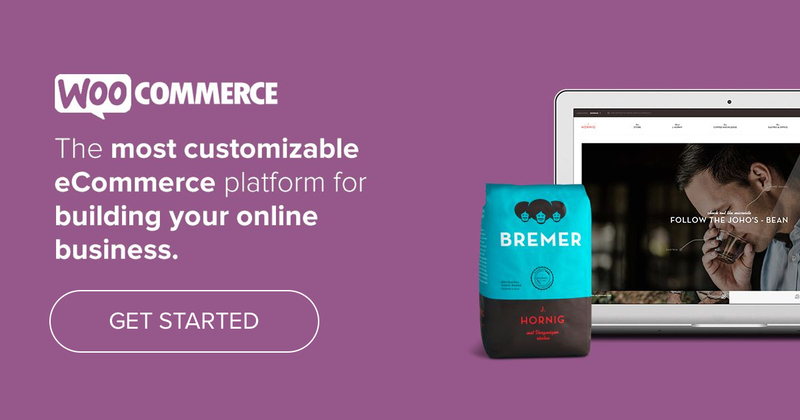 WooCommerce allowed us to do all of that. 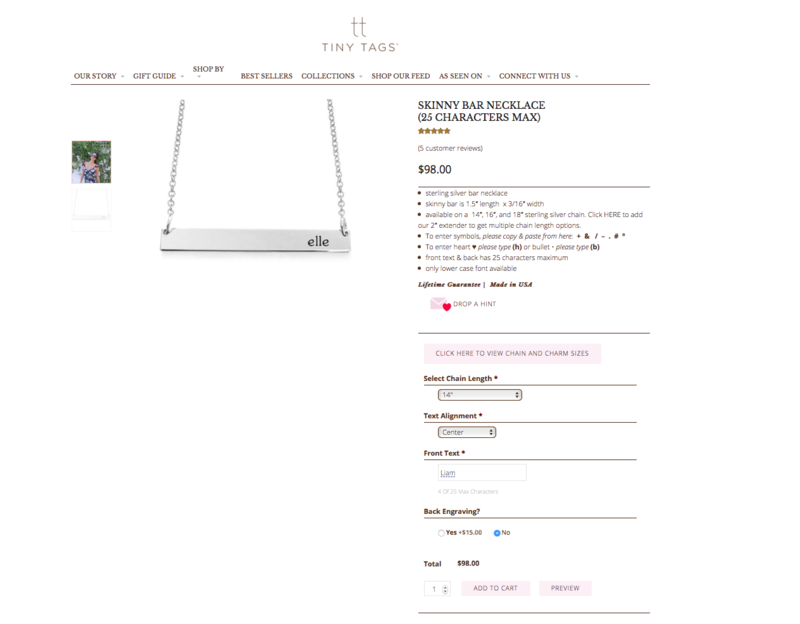 The jewelry customization for Tiny Tags is powered by Gravity Forms Product Add-Ons, which allows for conditional statements, and enables Melissa to offer complex customizations and personalization — including chain length, text alignment, front text, and optional engraving on the back. As Tiny Tags grew, there were many opportunities to expand into other special occasion jewelry, like wedding or graduation gifts. But growing the product line that way was difficult and meant attending more trade shows and investing more heavily in seasonal marketing campaigns. Melissa narrowed her scope to mothers, which freed her to focus, build the brand, and say no to certain partnerships and collaborations. She suggests shop owners focus their energy on what feels authentic. Like many online businesses, Melissa tried expanding her points of sale to physical retail locations, but after spending a lot of time and money getting into high-end baby boutiques in Boston, New York, and California, she decided to focus on perfecting the online shopping experience. Using Google Analytics, Melissa’s team analyse where customers live and what their interests are, to decide how to advertise. Klaviyo, a marketing automation software that integrates with WooCommerce, generates and sends a unique coupon to new subscribers, and then triggers a chain of emails based on the customer’s behavior. Melissa also uses Klaviyo for ‘win back campaigns’: a coupon is sent out 120 days after any customer makes a purchase. Beyond technical behavioural data and automations, Melissa uses every possible opportunity to find out more about her customers, like: why they chose Tiny Tags, where else they shop, and what are their interests. Her team engages with customers over phone support, on Instagram, via Zendesk — which can be integrated with WooCommerce using Zapier— and during checkout, customers are invited to share how they heard about Tiny Tags. We love hearing about the family behind each custom piece and we tell these stories on our site, in our email marketing, and on social media. While Melissa could have chosen to grow Tiny Tags by expanding her target audience, her strategy to focus on what works well and feels authentic has paid off. In the process, she’s polished her brand voice and built a business for longevity by investing in a sophisticated mix of eCommerce and marketing tools that help her harness the opportunities in her niche. Kudos to Melissa and team! If you’re selling customizable products online, we’d love to know what’s working for you in the comments. 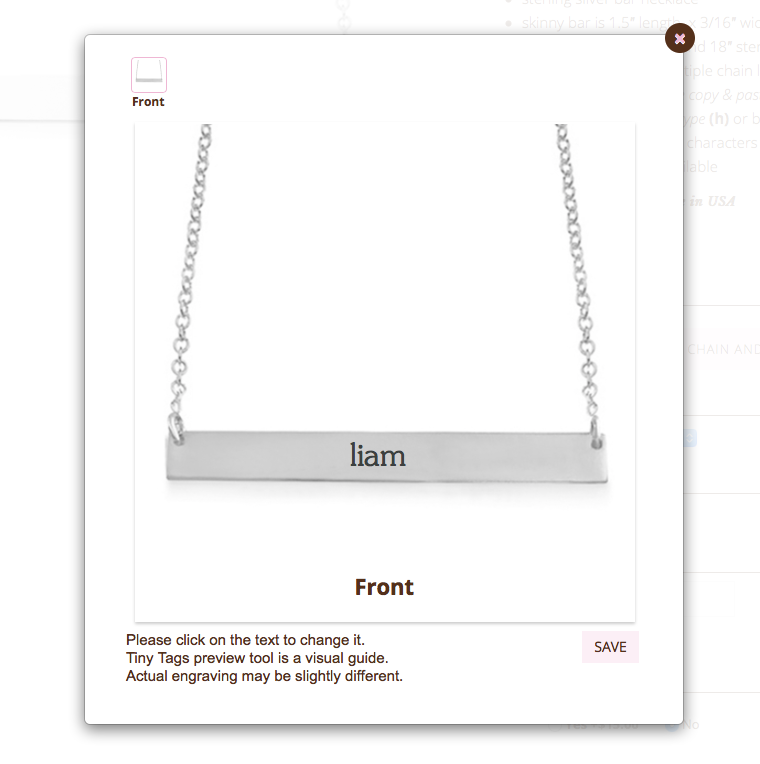 The live preview of typing a name on the jewellery is a nice touch. Just checked out their site and boy oh boy, it looks like a custom eCommerce site developed from scratch. Woocommerce really hits the nail on the head for an eCom website like that. Thank you Marina for the opportunity to share Tiny Tags with you! The power of niche cannot be underestimated! I’ve heard a lot of people say that you need to have a niche, or area of expertise to up your income rate. What if you don’t have an obvious one? I’m sure plenty of the people who are getting those jobs have been in my position. How did you find a niche and start getting regular work in it? 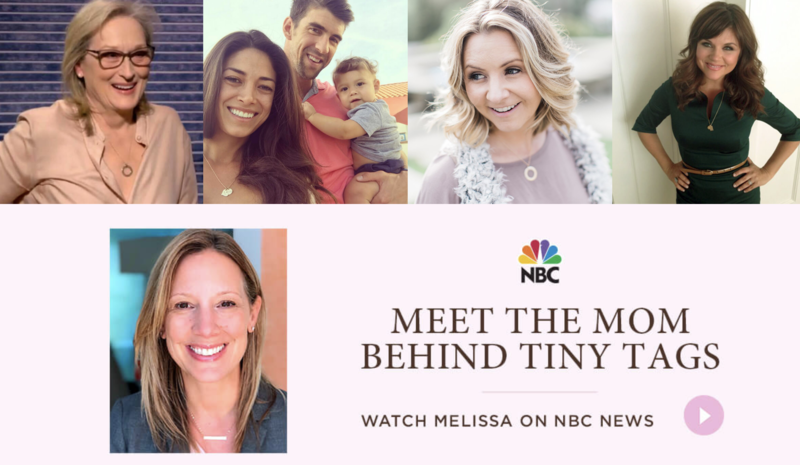 It sounds like identifying something she was passionate about was the starting point for Melissa with TinyTags — although a love of motherhood, rather than specifically jewelry, was the underlying driver! Perhaps setting aside some time to identify the things that you feel passionate about, or excited to take to the world, would be a good way to find your niche, Carms. Thank you for sharing this article. I love woocommerce and used this plugin on more than 50 of website for my clients. It is really very easy to use to develop eCommerce website.